Two big names made a lesser-publicized move towards the end of last month. SKF, the Swedish-based bearings company, and GE Oil & Gas, signed a non-exclusive, license-based collaboration agreement October 17. One could call it a friendly partnership, one that easily flew under the radar of GE Oil & Gas’ merger with Baker Hughes just two weeks later—and the fact that SKF announced some less welcome news around that same time. The agreement is primarily aimed at further developing the use of active magnetic bearing technologies within the oil and gas sector. 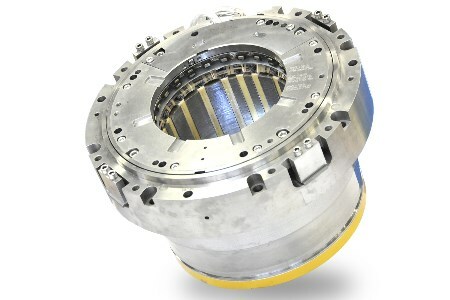 GE Oil & Gas intends to use SKF’s magnetic bearing technologies, from front-end engineering design to installation, testing and service, to customers. It also provides the basis for future collaboration, to broaden usage of active magnetic bearings into other turbomachinery, such as steam and gas turbines, which account for a major portion of GE’s Oil & Gas business. SKF seems to view the partnership as a gateway to potential breakthroughs. Victoria van Camp, the company’s president of business and product development, said that the agreement will include a new business model intended to widen the scope of applications for new technologies. “SKF’s active magnetic bearing technology has already enabled a number of breakthroughs within the oil and gas sector,” she also noted in the press release. The company has large-scale projects in industries like food & beverage, aerospace, and marine; but it still draws a significant amount of sales from core industrial applications such as electric motors, compressors, fans, pumps, and transmissions.